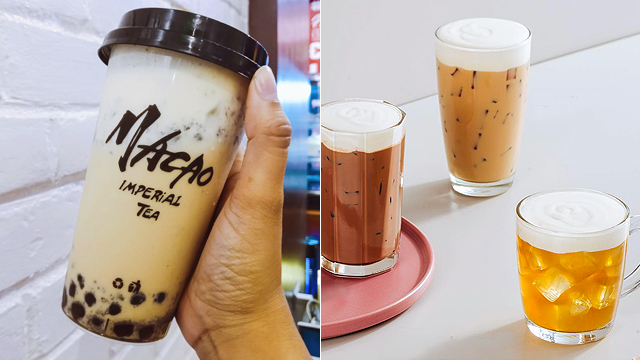 (SPOT.ph) If you’re serious about milk tea (like the rest of us) then you might have already tried all the assortments out there—from your regular black tea-based milk tea and Thai milk tea, down to the new craze that is brown-sugar milk tea. 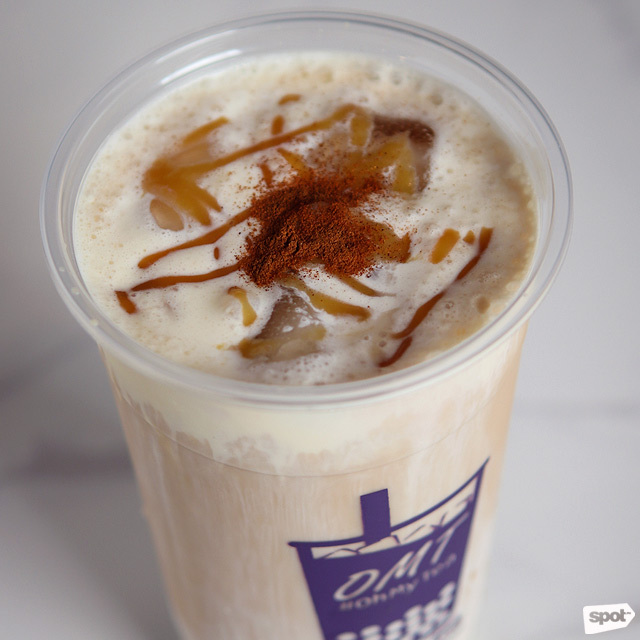 Now, we’re putting the spotlight on another crowd favorite: Cheese milk tea, or your favorite beverage topped with a foamy layer of salty-sweet whipped cream cheese. You’d want to get hold of these 10 decadent cheese-topped drinks, stat. 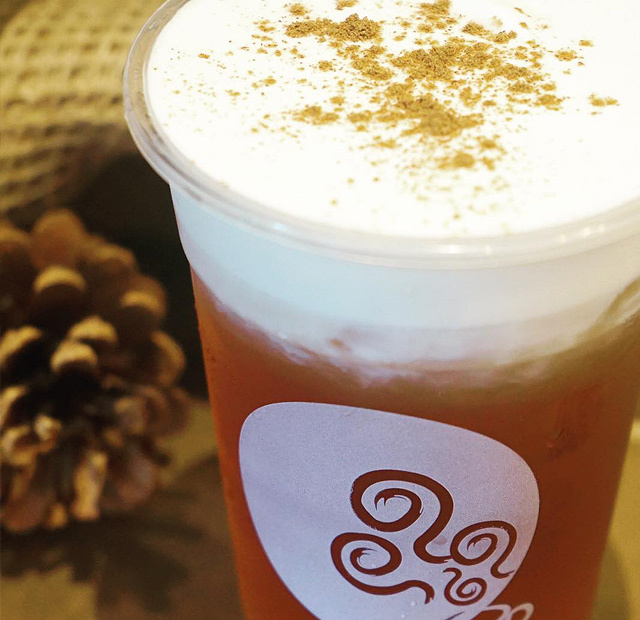 Gong Cha has a long list of “house special” teas that come with a salty, frothy cream-cheese topping. By now, you must have already tried the Gong Cha Milk Wintermelon (P95/medium, P110/large), their best-selling beverage with a base of fruity and sweet wintermelon tea. Chocolate lovers, meanwhile, won’t be able to resist the Gong Cha Milk Chocolate (P105/medium, P125/large), which feels like an elevated version of your favorite childhood chocolate drink made more sinful. See a list of Gong Cha branches. 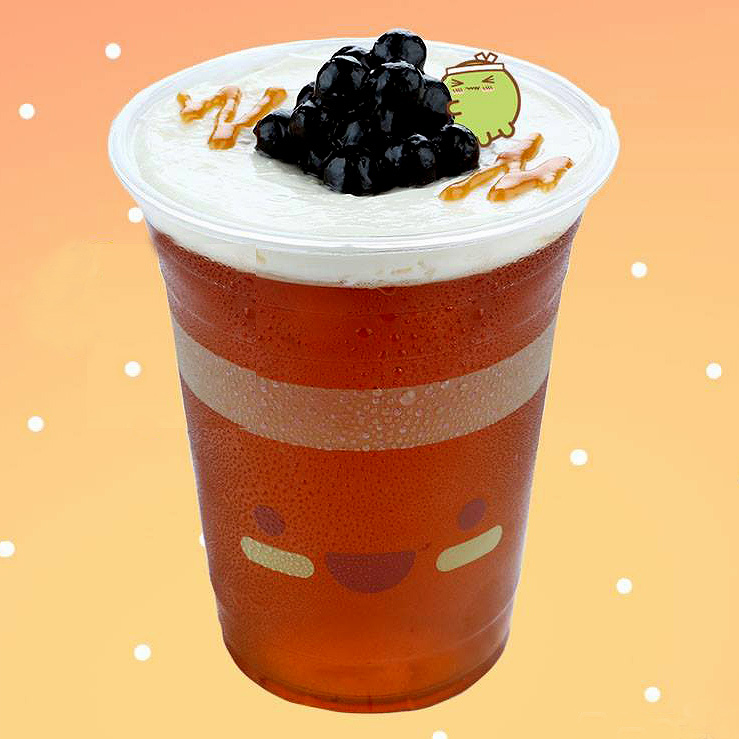 Sun Tea, located in Mall of Asia, is a fairly new milk-tea brand that specializes in all things cheese tea. Don’t leave without trying their popular Red Ruby Black with Cheese (P130), which has the same kick of caffeine as a regular cup of joe, as well as the Jasmine Green Tea with Cheese (P105), another house special that features green tea for something a little bit light. If you want the ultimate cheese tea experience, you might want to put all your favorite milk-tea elements in one cup—we’re talking about their Brown Sugar Pearl with Cheese (P155), with sweet brown-sugar boba, creamy fresh milk, and an indulgent cream cheese cap. Sun Tea is at Mall of Asia Complex, Pasay City, Metro Manila. If you’ve been a milk-tea fan from the very start, we’re sure Happy Lemon’s famous Rock Salt and Cheese series would ring a bell. Both the Jasmine Green Tea with Rock Salt and Cheese (P99/large, P119/jumbo) and Cocoa with Rock Salt and Cheese (P109/large, P129/jumbo) are classic combinations of sweet and salty. But if you’re also a fan of all things matcha, you’d probably also like their Matcha with Rock Salt and Cheese (P109/large, P129/jumbo), with a delicate earthy flavor complemented by rich cream cheese. 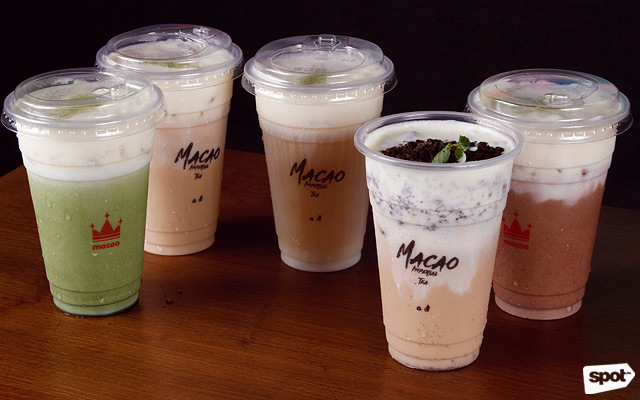 Aside from a wide assortment of cool drinks you can get at Macao Imperial Tea, like a classic milk tea or a refreshing fruit tea, you can also get your cheese-tea fix here. Their extensive Cream Cheese series includes the Cream Cheese Oreo Milk Tea (P140), with surprising bits of Oreo for extra texture, if you’re feeling a bit adventurous, or you could always stick to their classic bestseller, the Cream Cheese Milk Tea (P135). See a list of Macao Imperial Tea branches. Braving CoCo Fresh Tea & Juice’s long lines could be a challenge, but it won’t stop us from getting a hold of their tasty cream-cheese drinks. One of the first things you should try is their Salty Cream Milk Tea (P90/regular, P100/large), with a salty cream-cheese foam to complement their signature creamy milk tea. Meanwhile, the Salty Cream Black Tea (P80/regular, P90/large) packs a stronger punch, and is best if you’re after a strong tea taste. 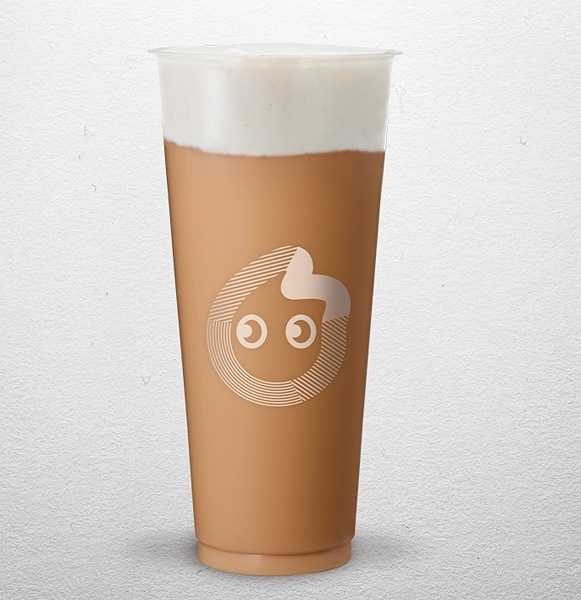 Tokyo Bubble Tea's range of cheese teas will delight fans of this salty, creamy topping. With a thick layer of their signature Japanese cheesecake cream on top, the Caramel Roasted Tea with Cheesecake Cream (P125/medium, P135/large) is one of the restaurant's bestsellers for its deep, sweet flavor. 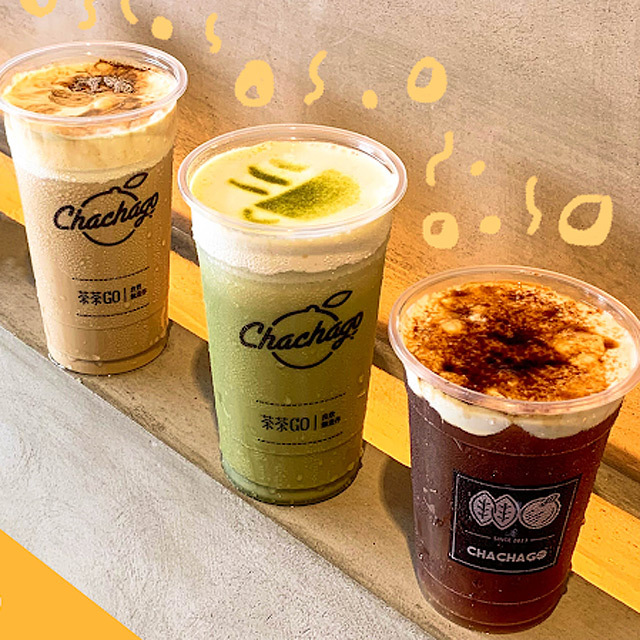 You can also have their cheese cream with other bases: The Honeydew Melon Tea (P125/medium, P135/large) is divine on a hot day, while the Almond Chocolate (P135/medium, P145/large) is a favorite among chocolate aficionados. See a list of Tokyo Bubble Tea branches. 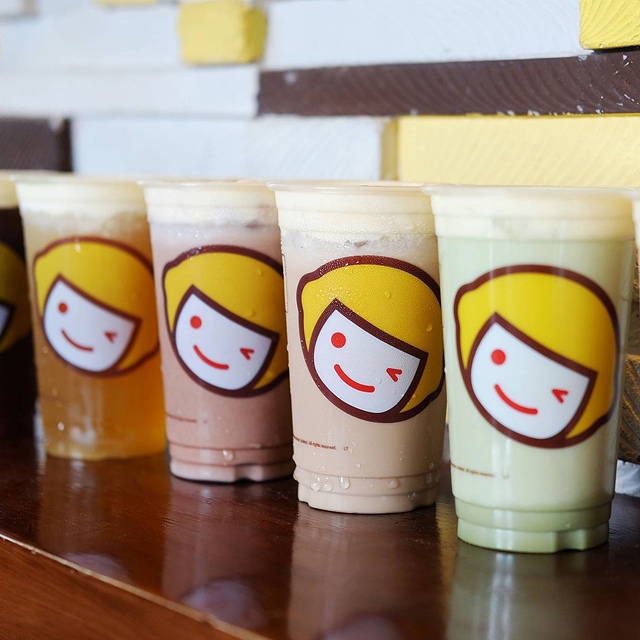 Tea Rock’s no-fail milk teas make each trip to Banawe worth it. Their Cheese & Sea Salt series come with a wide selection of tea bases like wintermelon, oolong, and even chocolate. The Oolong Cheese & Sea Salt (P95/medium, P110/large) is irresistibly creamy and has subtle floral notes, while chocolate lovers would also want to order the Choco Love (P110/medium, P130/large), where their homemade salty cream-cheese topping just blends seamlessly with the mildly sweet chocolate drink. They’ve also got a branch at the airport, so who says you can’t satisfy your crazy milk-tea hankerings even while waiting for your flight? Tea Rock has branches at 814 Banawe Street, Siena, Banawe, Quezon City; and G/F Terminal 3, Ninoy Aquino International Airport, Ninoy Aquino Airport Area, Pasay City. 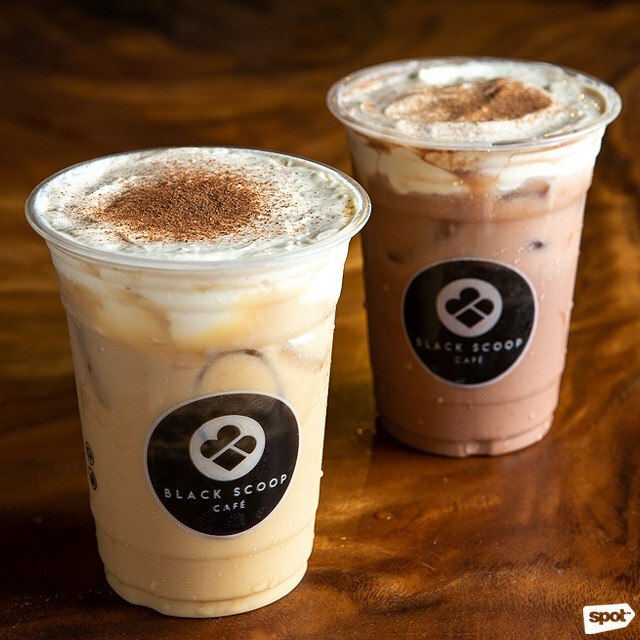 With a wide range of tea drinks and crazy ice-cream flavors (from Yakult to White Rabbit), it doesn’t come as a surprise that Black Scoop Café also whips up great cream-cheese tea. Their Cream Cheese Latte menu includes the crowd-pleasing Cream Cheese Taro (P150), which combines salty and earthy flavors, thanks to the taro. Their Cream Cheese Matcha (P150), on the other hand, mixes two of your all-time favorite flavors, green tea and cheese, in one. 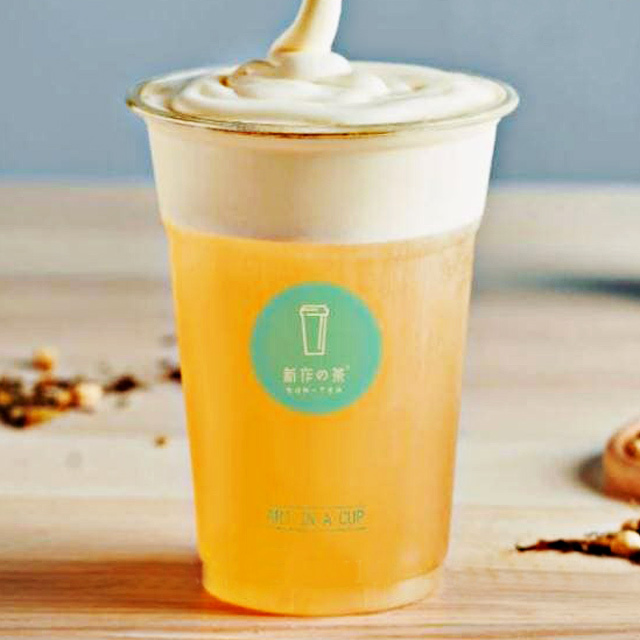 Cheese-tea veterans might have already heard of Chachago’s best-selling cheese tea by now. 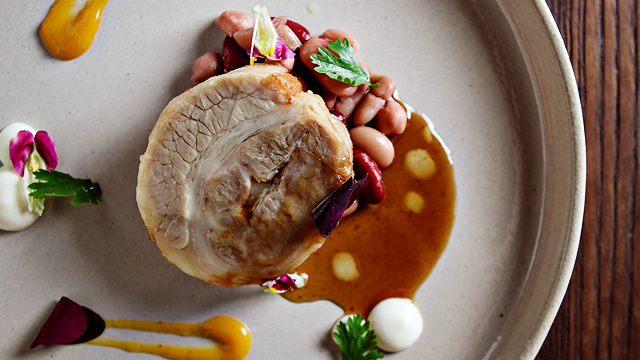 Don’t miss their Roasted Brown Sugar Cacao (P140), which has a salted whipped cream-cheese foam to balance out the sweet brown sugar and chocolate base. If you prefer something with tea, then you might want to opt for their Roasted Brown Sugar Tea (P140), which flaunts a deep caramel flavor you’d want to have over and over again. Oh My Tea is one of Maginhawa’s newest milk-tea shops, offering traditional Taiwanese milk tea as well as its Thai counterpart. 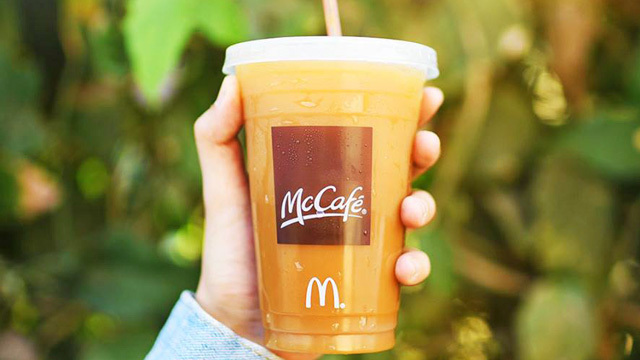 Cheese-tea fans might find new favorites here, too, thanks to their wide assortment of Salted Caramel Cream beverages, which is their take on the popular drink. Their cream-cheese topping comes with a generous drizzle of caramel sauce, so sweets fans are in for a treat. Their bestseller is the Assam Salted Caramel (P140), which uses salted caramel to give you that perfect sweet-salty combo paired with strong and earthy assam tea.